long time being more than 2 years. Avon says "It provides vibrant and intense colour in a single application. These 10 bold shades are packed with 50% more pigments than traditional lipstick.". The lipsticks comes in a black cardboard box with the name of the lipstick clearly showing. The lipstick also comes in a black case, a transparent top, a sliver trimming with the Avon label and the bottom side has the name of the lipstick and a colour sticker which shows the lipstick shade, and I must say that it is true to colour. When I first bought the Ruby Shock lipstick I wasn't sure if I would like it or not but I ended up liking it on my first application and I have been a regular buyer of it since then. It is true that you get a colour pay-off on the first application, and usually with lipsticks that are on this price range you need to apply them a good number of times before the colour pays off. 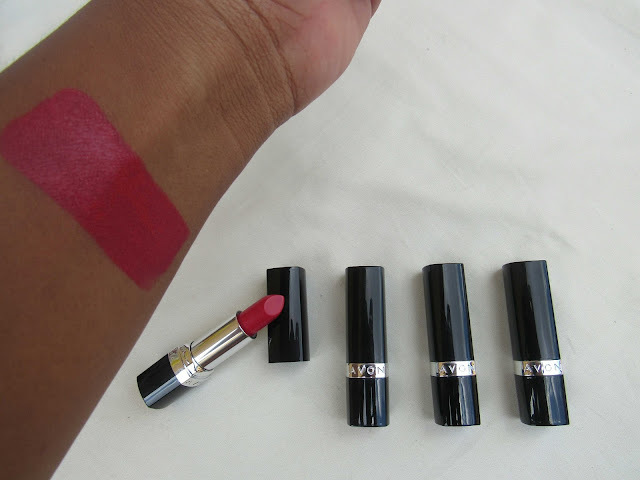 When I buy Avon's Lipsticks I usually buy them when they are on special and I got mine for R69.90 and a few other shades. The only thing that I don't really like is that they transfer but the colour still stays. 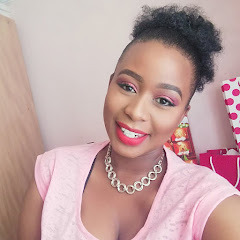 Ruby shock is very true to red and is affordable, so if you are looking for a great affordable lipstick that won't budge then this is the one. Plus if you are looking on growing your lipstick collection, I would advise that you take advantage of those 2-for-1 specials that they have almost every month. Avon should bring this colour out on a matte range, just saying. 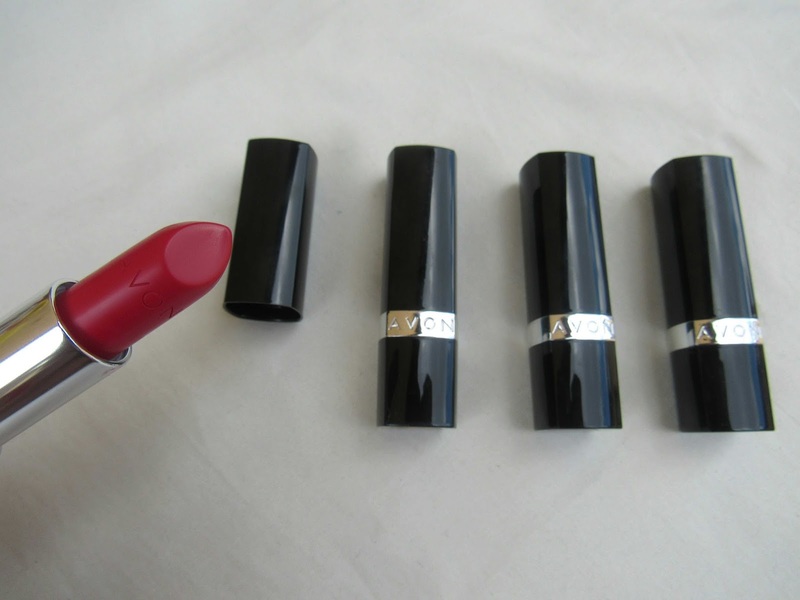 I have never tried Avon lipsticks .This color is so beautiful and the pigmentation is awesome!. The colours do swatch off beautifully girl, You should give them a try.